In this game, nobody wants to hold the rubber chicken -- the game's only prop! To begin the game, all students sit in a circle. Select one person to be It. That person holds the rubber chicken. The teacher or a "caller" says to the person holding the chicken, "Name five presidents of the United States. Pass the chicken!" 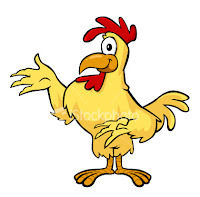 As soon as the caller says, "Pass the chicken," the person holding the chicken passes it to the right. Students quickly pass the chicken around the circle. If it returns to the original holder before he or she can name five presidents of the United States, the holder is still It. Otherwise, the person holding the chicken when It finishes listing five presidents is the new It. You should prepare the topic cards for this game in advance. 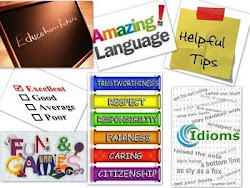 Topics can relate to your curriculum or be general information topics. The student who is It must name five items in the called-out category in order to get rid of the dreaded chicken! Topics: fast-food restaurants, authors of children's books, countries in South America, vegetables, cartoon characters, musical groups, large bodies of water, animals found in salt marshes, English speaking countries, cities in the USA. 2) Suggestion for wrap up stage: Instead of using one of the suggested topics above, the teacher can ask the stutend holding the chicken to say 5 new words in the lesson, make 3 sentences using a particular structure, etc. P.S: you may replace the rubber chicken for any other object!!! When I taught teens they loved the rubber chicken so badly that at the end of that term I had to raffle the poor rubber chicken as an award!!! The power of question for classroom management!